There is no denying it: motherhood splits a woman’s life forever, into a before and an after. 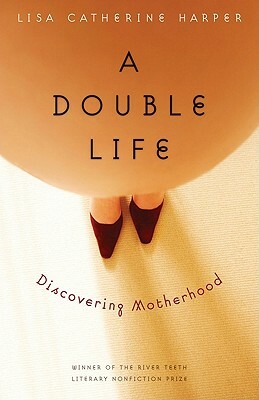 To this doubled life Lisa Catherine Harper brings a wealth of feeling and a wry sense of humor, a will to understand the emotional and biological transformations that motherhood entails, and a narrative gift that any reader will enjoy. Harper documents her own journey across this great divide as a seasoned explorer might, observing, researching, relating anecdotes and critical information. From late-night Lindy Hop dancing to crippling sciatica, morning sickness to indulgent meals, graduate seminars to sophisticated ultrasounds, Harper marries scientific details with intimate insights as she uncovers the fascinating strangeness of this remarkably familiar territory. Following Harper’s first pregnancy from conception to her daughter’s first word, A Double Life looks at how the biological facts of motherhood give rise to life-altering emotional and psychological changes. It shows us how motherhood transforms the female body, hijacks a woman’s mind, and splits her life in two, creating an identity both brand new and as old as time. It charts the passage from individual to incubator, from pregnancy, labor, and nursing to language acquisition, from coupledom to the complex reality of family life. Harper’s carefully researched story reminds us that motherhood’s central joys are also its most essential transformations. Lisa Catherine Harper teaches in the MFA program at the University of San Francisco. She lives with her husband, an art director for feature animated films, and their two children in the San Francisco Bay Area.